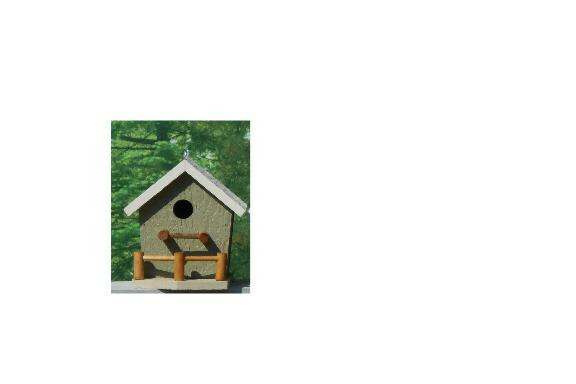 Are you looking to spruce up your yard or garden with a bird house or feeder? 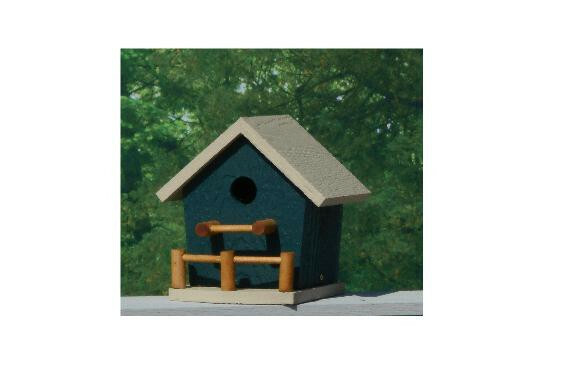 Look no further, our charming Bird House with Porch is just what you need to add that special touch. Designed with quality in mind, our construction includes a durable, strong fir wood body. Fir wood is an excellent choice for outdoor use. It is a wood that is not adversely affected by moisture. When it becomes damp or wet it does not warp or dry out of shape. It retains its original size, it does not split, and it is not prone to decay. 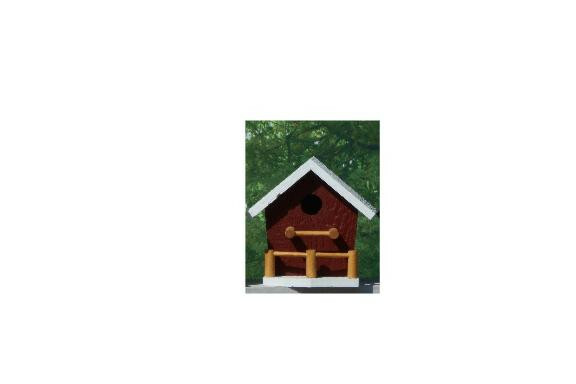 Due to the reasons above, most outdoor furniture and bird houses that are made of fir wood are painted. 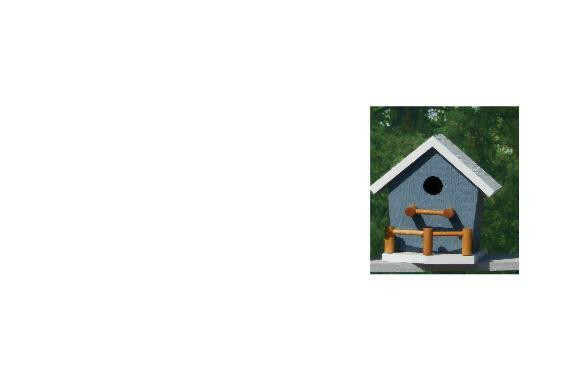 As long as the birdhouse is maintained properly it will last for many years. 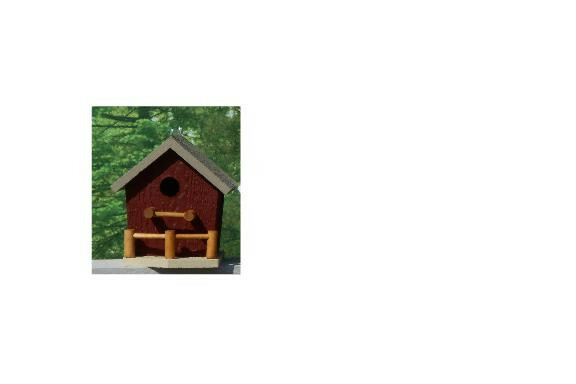 This hand-crafted birdhouse has a curb appeal like no other. Other details include removable screws in the bottom to clean out. 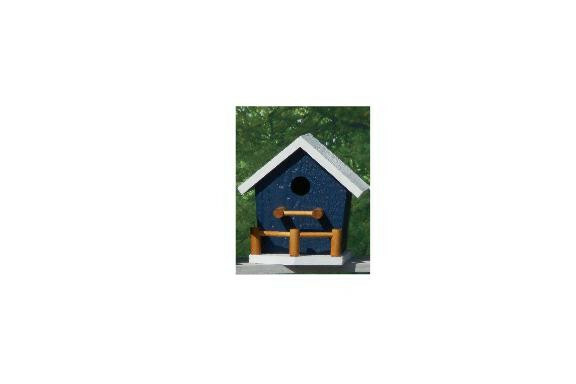 Choose from 7 hand-painted color combinations to complete the look of your birdhouse. 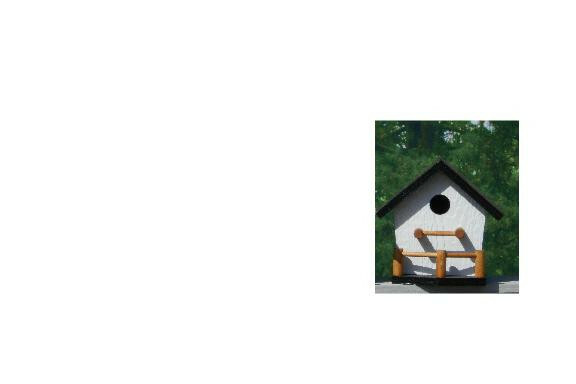 You are guaranteed to get many compliments with this charming birdhouse!